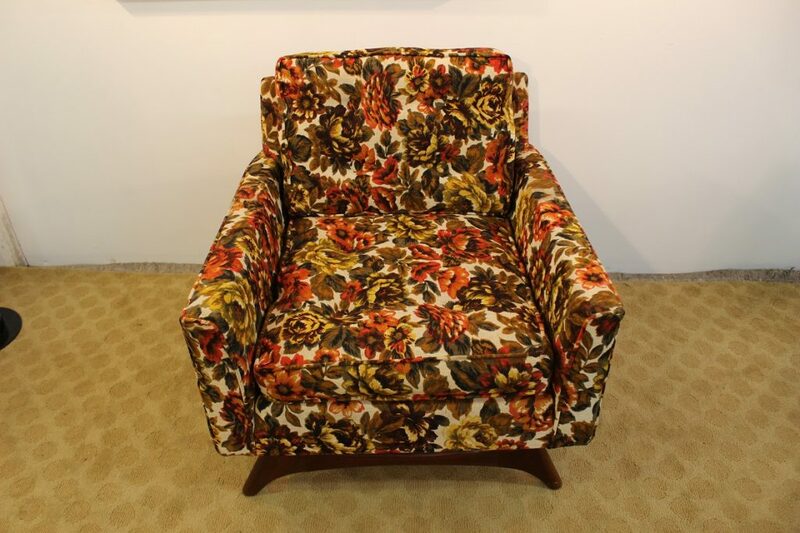 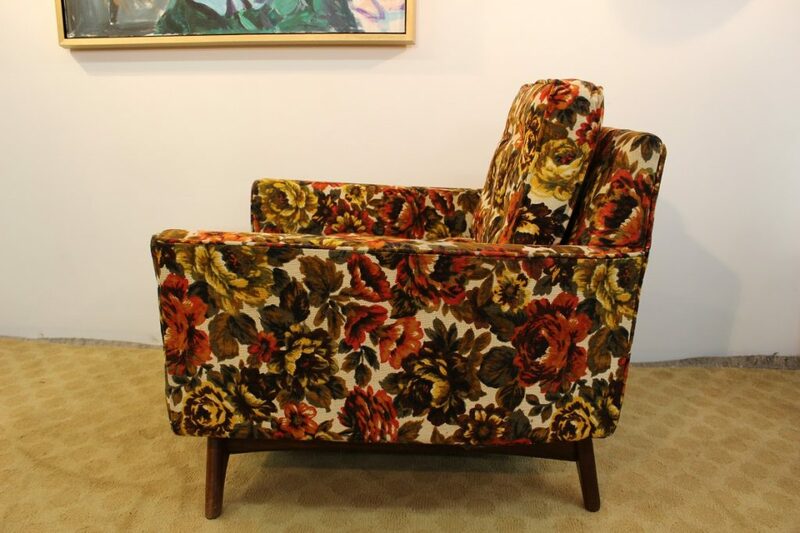 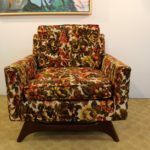 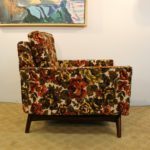 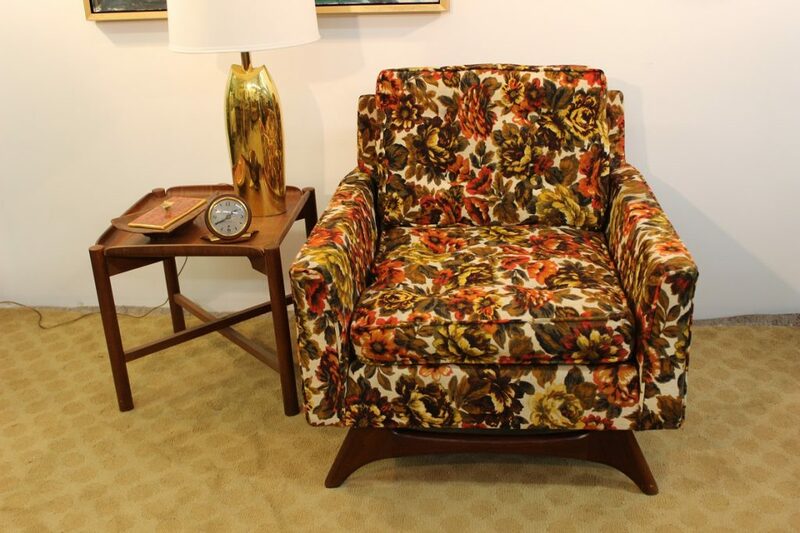 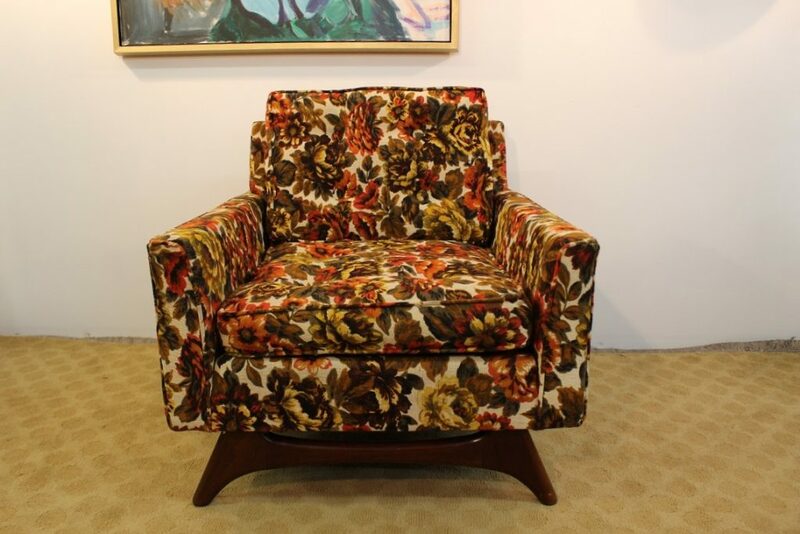 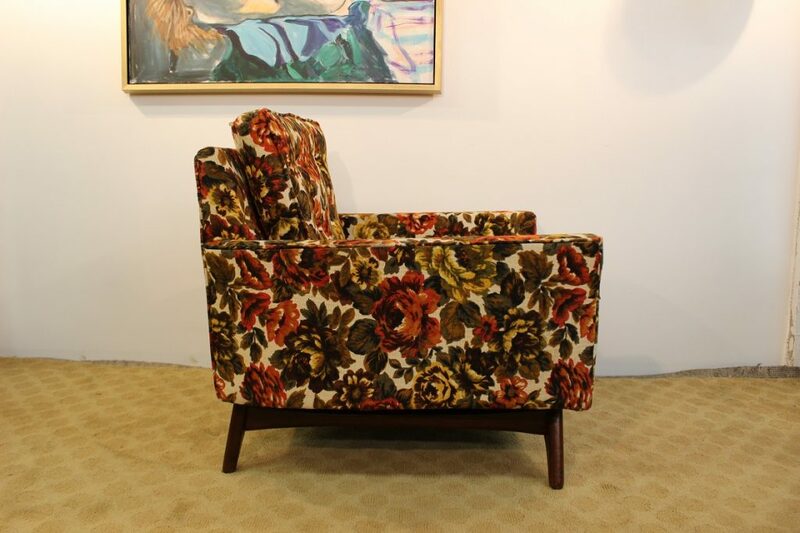 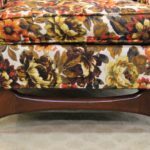 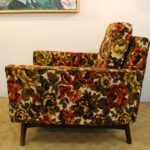 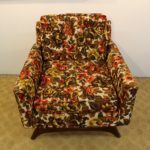 This beautiful Adrian Pearsall chair is coming to you with a very nice and bright color floral upholstery. 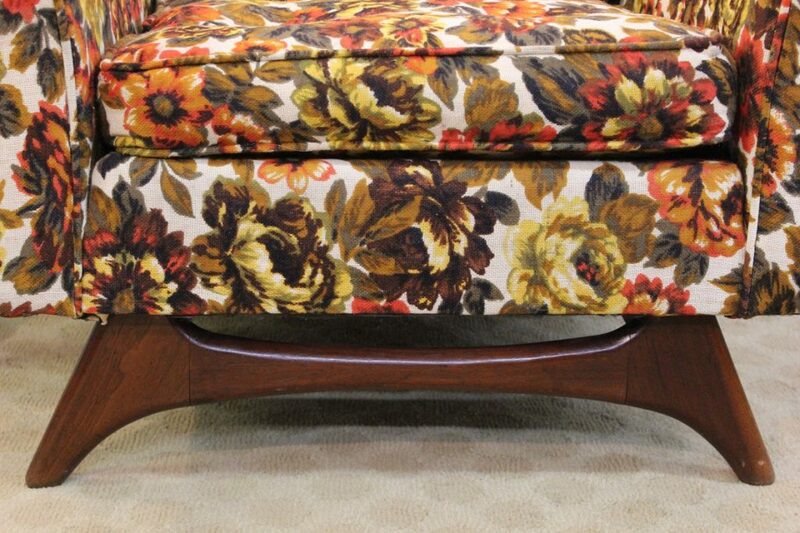 The legs are made of walnut and have a nice medium dark finish, which allows you to see the wood grain. 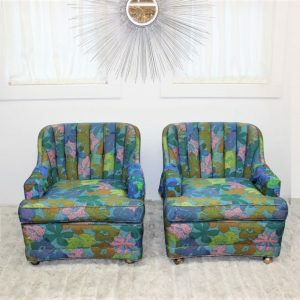 In addition to that, it complements the color of the upholstery so well. 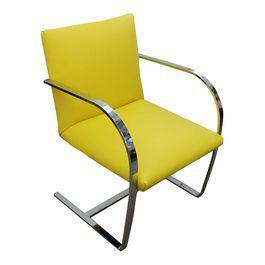 The chair is similar to model number 2406-C and it was manufactured by Craft Associates. 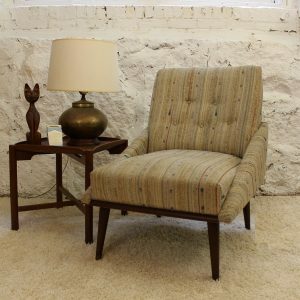 This Adrian Pearsall chair is the perfect addition to any home, it can be easily incorporated into different styles and different rooms. 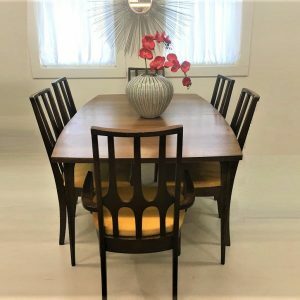 Anybody who has seen several of his chairs on the market can testify that this is one has some of the best-looking lines that the company produced. 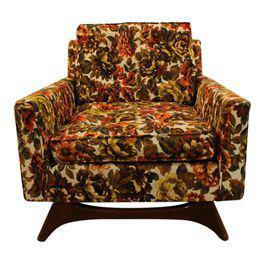 Needless to say, it comes to you from the 1960’s and it is a great example of the designs of the era. 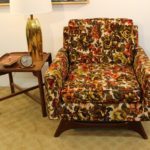 And as we all know that is one of the best decades in the history of manufacturing and design. 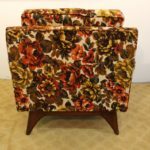 It measures 31″ tall by 31″ front to back by 29 1/2″arm to arm and 17 1/2″ to the seat. 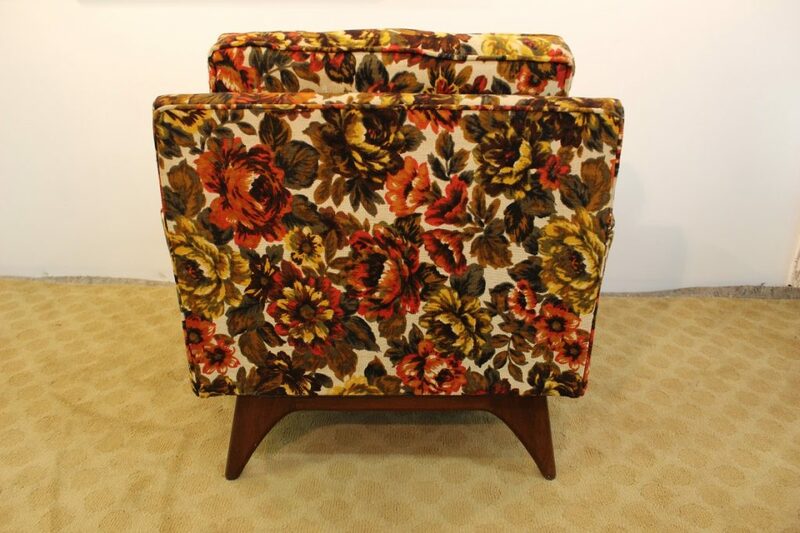 The foam in the seat cushion can easily be refreshed to make it look like new.